After finishing Saints Row IV I had a taste for more gangbanging, plus a curiosity about some of the earlier stories referenced in the game. 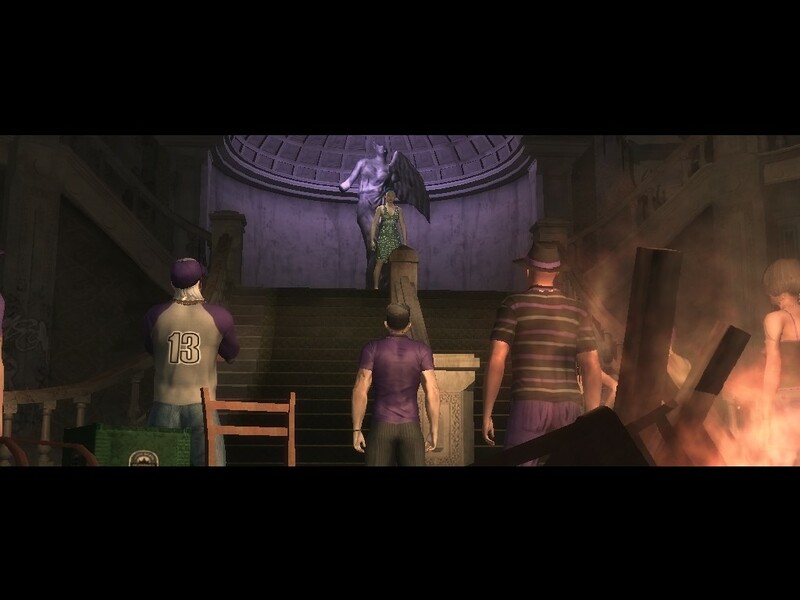 So I picked up Saints Row 2. Boss! Why does Earring Guy get the rifle with a missile sticking out of it? It came out in 2009 (for the PC), but feels older. (Consider that Fallout 3 was already out.) The graphics are good, but the city has a weird washed-out feel to it. If like me you’ve played SR3 and/or 4 and wondered what SR2 is like, it’s what you would expect: like a less polished predecessor to those games. Same basic idea as SR3: make a character, start with nothing, eliminate rival gangs while earning cash and respect with side missions of widely varying plausibility, and take over the city. It’s nice to have an entirely different city to play with, as well as different opponents. In some ways it’s harder. SR3 would have activities with 3 difficulty levels; SR2 has six, and I’ve rarely gotten through all six. Ammo is more expensive and runs out quickly– one mission I finished by the skin of my teeth, knocking down some helicopters with my last bullets. Diversions like Insurance Fraud are harder simply because there are fewer cars on the streets, so it’s hard to get combos. Friendly Fire shops are strangely scarce, as are autosaves in missions. Planes are hell to fly. (They are particularly confusing because the controls page only mention 4 controls, whereas there are actually six. For reference, to take off you need to hit shift to accelerate plus S to lift the plane.) The cars don’t handle easily either– they’re hard to keep on the road. It’s also much further down on the laffs scale. I’m working on the Brotherhood, which features a couple of fairly brutal murders, by the opposing gang leader and then by the Boss (i.e. the player). It’s nothing compared to what Niko Bellic does before breakfast, but it’s just as well that they downplayed the nastiness in SR3. Is it fun? Well, with the caveat about difficulty, yes. It’s like getting DLC for SR3, which isn’t as brilliant but makes up for it in volume. Plus I’ve got Rebecca Santabria doing the Boss’s voice again, which is worth the price of admission. I really missed her brashness and charm in SR4. Edit: Thoughts after finishing the game here.